Last year I wrote about a few successful sales strategies, however, after helping with sales at GreenRope, and recently seeing the Wolf of Wall Street, I’ve decided to write another blog post about sales and how to best approach the art. If you have seen the Wolf of Wall Street, a new movie with Leonardo DiCaprio, you will have seen the main character’s charisma and skill for selling penny stocks to the 1%. This, my friends, is skill. In fact, it is beyond skill, he is a sales ninja. This is the person (minus the drugs and illegal dealings) that sales professionals strive to become. Why? Because the man could sell. In once scene, Jordan Belfort (Leo DiCaprio) asks one of his misfit friends and potential employees to ‘sell him a pen’. The friend takes the pen, and asks Jordan to write his name on a piece of paper. Naturally, without a pen, Jordan could do no such thing. Et voila! Pen sold. This scene defines the basic rule of sales. Until a need is recognized, there is no real value to your product or service. So, what does this mean? This means that you, as a sales person MUST create a sense of urgency and immediately illustrate value if you want to close more deals, and quickly. As a sales person you need to show that whatever your selling not only provides a solution to some of their most urgent problems, but that it is also the most important need they should be addressing right now. You need to find out what motivates your buyer. Get to the core by asking a ton of questions. Find out their pain points, and know exactly how your product/service can take the pain away. Simple fact, you must make a compelling case for both yourself and your product. First off, what value does your product/service have, and secondly, what’s YOUR value? As a sales executive, you want to be a consultant, someone to lean on, to trust, to engage with. The more a person trusts and likes you, the more likely they are to buy from you. You gain this trust by showing the buyer the value of what you are selling. How is it going to affect their lives in a positive way. 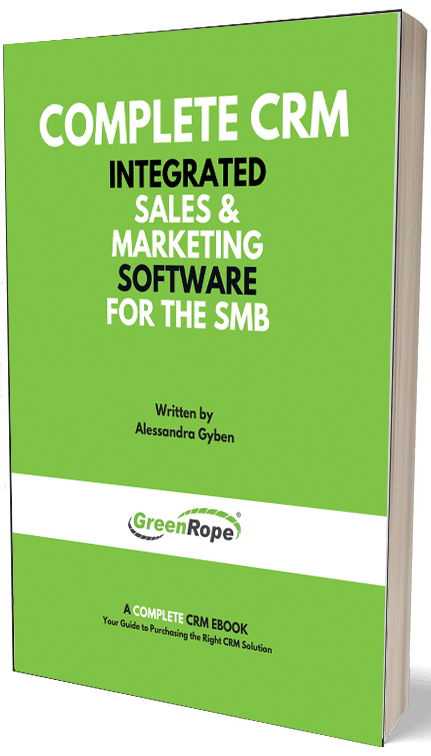 For example, GreenRope is not just a CRM platform it is a time saver. It makes YOU more productive, so that you can focus on the things that really matter. GreenRope also keeps you organized, so that your business can close more deals. More closes means greater profits. Again, value on top of value. Creating urgency does not require a special or a promotion. A sense of urgency is triggered when you convince the buyer that their need is something that can be done away with quickly, and that you have the powers to fill the void. Essentially, you have to make them realize that the problem you are trying to help solve is their number one priority. For example, if a company is just starting out, GreenRope is a critical piece in building the foundation of the business. Therefore, their need for a CRM and marketing automation platform is urgent beyond anything else. Besides being a dragged out flick, the Wolf of Wall Street did have some insight for sales executives everywhere. OK, now on to what Jordan Belfort didn’t have, and a lesson any present day ‘Wolf’ could learn from us. Yes, Jordan Belfort knew how to sell, but what is the one thing that maybe could have made the Wolf even more successful? Technology. Technology has given us the ability to stay organized. I am not talking about a spreadsheet on your PC however, I am talking about sales specific software, like a CRM. House all of your contacts: Forget the post-it notes and business cards scattered around, keep all of your contacts in one easy-to-access database. Not only are they all together, they are easy to sort through, keeping your desk and mind clean. Track and manage any touch points with your leads and customers: Unless your memory is extraordinary, there is a good chance that you are not going to remember every phone call, every email, every conversation with all of your leads and customers. A CRM acts as an extension of your brain, and who doesn’t love that? Set your weekly tasks and activities: As stated above, a good sales person plans and executes. An organized sales person plans out their week in advance. They know which of their leads/clients they are going to call and when. For example, because you made note in your CRM that one of your clients is on vacation and won’t return until the end of the week, you know to schedule a call on Friday. Your CRM essentially keeps you from looking like a fool and calling your jet setting lead while on vacation. Planning your days earlier makes your more efficient and therefore more able to hit that end goal, closing more deals! Collect important data about your customers: Not all leads are created equal. Fact. This is why it is important to collect unique data about each of your customers and leads. Being able to house this information enables you to better connect with your contacts. Personalize emails, build relationships, and much more using specific data about your leads. The Wolf of Wall Street may have reinforced the bottom line of sales, but today we have advances technology available that helps us out even more. Staying organized, strategizing, and building solid, long lasting relationships is what is going to close deals and boost revenue in the end.